The Boston Police Department remembers Patrolman Patrick C. Gannon who died in the line of duty 79 years ago today. Patrolman Gannon was 46 years of age and served the Boston Police Department for 22 years. 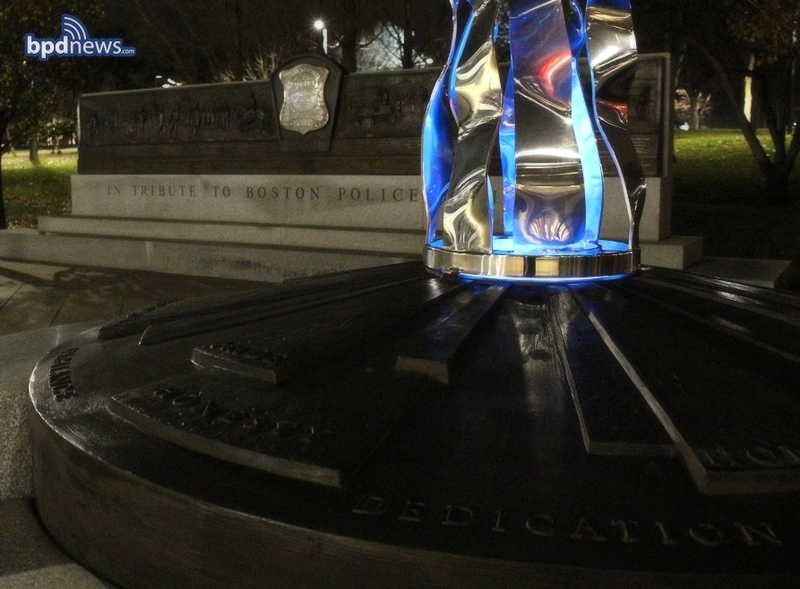 Patrick Gannon’s name is located on the Boston Police Memorial at Headquarters and the State Memorial at the State House. On this day we remember a HERO! BPD Remembers the Service and Sacrifice of Officer Frank J. Comeau Killed in the Line of Duty on this day 93 Years Ago: On March 24, 1926, Officer Frank J. Comeau happened upon three teenagers who had broken down in a stolen vehicle in front of the police station on Dickens Street in Dorchester. While attempting to arrest the suspects, a scuffle occurred in which Officer Comeau suffered a fatal gunshot wound. The suspects then fled the area but were apprehended a few days later. A 3-year veteran of the department, Officer Comeau was 38-years-old at the time of his death. Making his line of duty death ever more tragic is the fact that he left behind a grieving wife and two daughters. Officer Comeau was laid to rest at New Calvary Cemetery in Mattapan and his name is located on the National Law Enforcement Memorial on Panel 62, West Line 7. In Boston, a Hero Sign is posted at the intersection of Acadia Street and Adams Street in Dorchester to forever honor the memory of a man who gave his life in service to his city. If you’re in the area, keep an eye out for his Hero Sign and kindly take a moment, not only to honor his sacrifice, but to remember the loved ones left in mourning after his tragic passing so many years ago. BPD Remembers the Service and Sacrifice of Detective Thomas J. Gill Killed in The Line of Duty on This Day 31 Years Ago: The men and women of the Boston Police Department remember the service and sacrifice of Detective Thomas J. Gill who was killed in the line of duty on this very day 31 years ago. On February 10, 1988. Detective Gill was killed when he was struck by a train while investigating a breaking and entering in Allston. While searching for stolen firearms on the train tracks in Brighton, he was struck by an Amtrak train and was pronounced at the scene. Gill, who was an 18-year veteran of the department, was 38-years-old at the time of his death. Making his passing ever more tragic is the fact that he left behind a grieving wife and three daughters. Detective Gill was laid to rest at The Couch Memorial Cemetery in Marshfield and his name is located on the National Law Enforcement Memorial, Panel 12, East Line 9. In Boston, a Hero Sign is posted to honor his life and service in the area of Berkeley Street and Warren Avenue in the Back Bay. If you’re passing through the area, please keep an eye out for his Hero Sign and kindly take a moment, not only to honor his sacrifice, but to remember the loved ones left in mourning after his tragic passing so many years ago. BPD Remembers the Service And Sacrifice Of Officer Joseph M. Mullen Killed In The Line Of Duty On This Day 46 Years Ago: The men and women of the Boston Police Department remember the service and sacrifice of Officer Joseph M. Mullen who was killed in the line of duty on this very day 46 years ago. On December 18, 1972, Officer Mullen was killed when he was struck by a motor vehicle while directing traffic during an overtime assignment at the John Hancock Tower in Copley Square. Mullen, who was a 35-year veteran of the department, was 61-years-old at the time of his death. Making his passing ever more tragic is the fact that he left behind a grieving wife and two children. Officer Mullen was laid to rest at St. Joseph’s Cemetery in West Roxbury and his name is located on the National Law Enforcement Memorial, Panel 13, East Line 15. In Boston, a Hero Sign (see photo) is posted to honor his life and service in the area of Trinity Place and Stuart Street in the Back Bay. If you’re passing through the area, please keep an eye out for his Hero Sign and kindly take a moment, not only to honor his sacrifice, but to remember the loved ones left in mourning after his tragic passing so many years ago.